Submit your ideas for Writing.Com! 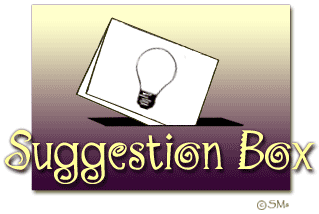 Have a new idea that you'd like to see implemented on our site? Post it here for consideration! As you may or may not know, Writing.Com Staff is constantly working to improve and enhance the site with new features and tools. Even though our To Do List is already 10+ pages long, we are always open to adding more ideas! Due to our competition and the sheer fun of surprising our members with new things, we keep this list private. If you think of something else you'd like to see here, though... let us know! Not all suggestions will be responded to by staff. Please do not ask for changes in Writing.Com policy. Generated in 2.40 seconds at 6:56pm on Apr 18, 2019 via server WWW1.